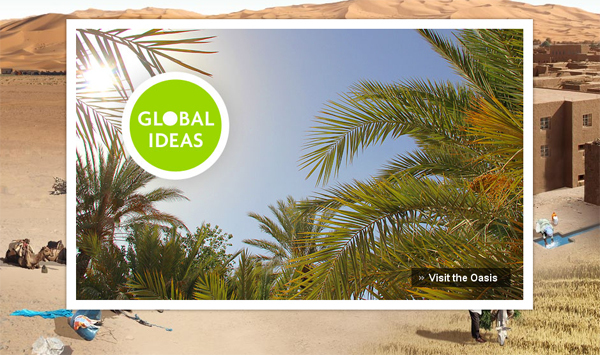 DW’s Global Ideas has always been good at going to some of the most exotic places on earth and uncovering stories that have an environmental impact. The latest adventure heads off to a remote region in the Moroccan Sahara that is home to the Hanabou oasis, a small village that is part of the bigger Tafilet oasis which is considered to be one of the largest in the world. Now, Oasis Life – Defying the Desert provides you with a unique look at culture and people that have adapted to life in very harsh conditions. However, climate change is beginning to threaten the water supply and every aspect of their existence hangs in the balance. Magnificent footage and insightful interviews help you to understand the fragile yet beautiful simplicity of life in the desert from the traditional Bedouin nomads who today yearn for the ancient freedom of the desert to the tourism economy dependent on the 200,000 annual visitors to the majestic Erg Chebbi sand dunes. Don’t miss out on this inspiring and educational multimedia journey. DW Transtel will be covering a vibrant spectrum at this year’s MIPCOM with new shows like The Allure of Nature, Art Beats and Beyond Progress, as well as a range of new episodes from favorites like Ecopia and Struggle for Survival. The Allure of Nature casts a spotlight on the breathtaking images of nature from the most unusual perspectives. The color and texture of the natural world is captured from unexpected angles to reveal not only its beauty but also the power it wields. Beyond Progress casts a critical light on the scientific and techno-logical achievements of our time and discusses their ecological, eco-nomic and ethical impact and questions the value and price of those achievements. Art Beats celebrates the unsung heroes of culture; street musicians and graffiti artists, samba and tango virtuosos, masters of caricature and satire and their power to unite nations and peoples. For more information, visit us at Booth 19.14. at MIPCOM 2012 from October 8-11. For the first time, one of DW’s shows was broadcast on free TV in Russia. 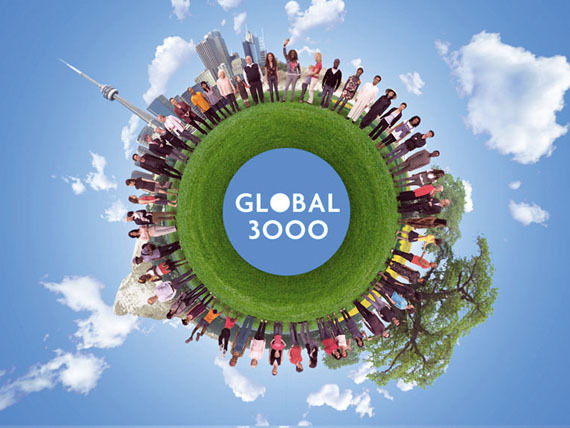 GLOBAL 3000 – DW’s program on the environment and globalization – will be broadcast on Friday evenings on RBC TV, with re-runs on Saturdays and Sundays. The broadcaster is promoting the new show online and during its daily line-up on air. For the Russian version of GLOBAL 3000, DW delivers a specially-edited, 21-minute long version – optimized for RBC TV. The Russian channel is the leader in business and informational programming and can be seen in more than 600 cities in Russia. DW and RBC TV have been working together since May – GLOBAL 3000 was broadcast for the first time by RBC on July 22. 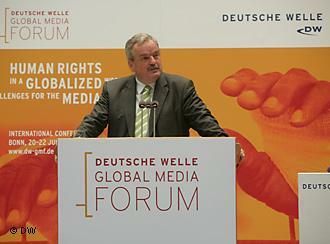 The fourth Deutsche Welle Global Media Forum commenced this morning with an opening ceremony and keynote session at the World Conference Center Bonn. This year’s conference is focusing on “Human Rights in a Globalized World – Challenges for the Media”. The opening ceremony featured DW Director General Erik Bettermann, as well as Jürgen Nimptsch, Mayor of Bonn and Angelica Schwall-Düren, Minister for Federal affairs, Europe and the Media, State of North Rhine-Westphalia. The keynotes will be held by Thorbjørn Jagland, Secretary General of the Council of Europe, Morten Kjaerum, Director of the European Union Agency for Fundamental Rights and Dunja Mijatovic, OSCE Representative on Freedom of the Media. You can check out today’s conference program here. Read the official press release here or watch videos from the conference. DW wants to help create a platform for dialogue about human rights and globalization with new programming and content in 30 languages. This multimedia project, Human Rights 2011, is a reflection of the Deutsche Welle Global Media Forum, which is taking place from June 20-22, 2011 in Bonn. The conference’s topic this year is “Human Rights and Globalization – Challnges for the Media”. The multimedia project on human rights 2011 will examine modern basic needs like the right to work, food and housing. Unique reports and features shed light on individual stories from around the world – whether that be rising prices and famine in Senegal, drug-dealing gangs in Colombia and dangerous jobs in India. Special insights are provided from human rights experts like Monika Lüke, the Secretary General from Amnesty International in Germany and John Rugie, UN Special Representative of the Secretary General on human rights and transnational corporations and other business enterprises. Find out more about Human Rights 2011. Or check out the line-up for this year’s Global Media Forum.